Throughout Bianchi’s 130-year history, the Specialissima name has represented the pinnacle of the Italian legend’s road machine line-up. The ”Specialissima” was introduced in late 1950s as successor of famous ”Campione del mondo” model and remains Bianchi’s top model till today. 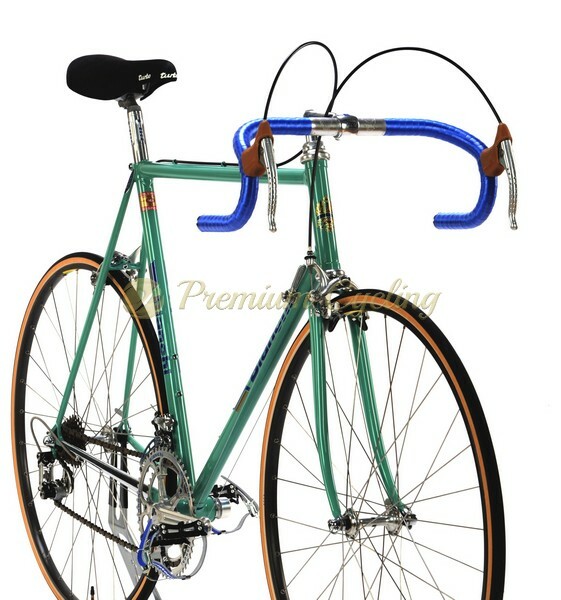 Proudly presenting another Bianchi‘s top class racing machine, the Specialissima X3 which dates back to 1984. It’s one of the final versions of X3, very similar to Bianchi X4 and Bianchi Centenario bikes. Extraordinary frameset is made of superb Columbus SLX tubing and built with Campagnolo Super Record groupset with Bianchi pantograph stem, seatpost and chainring. 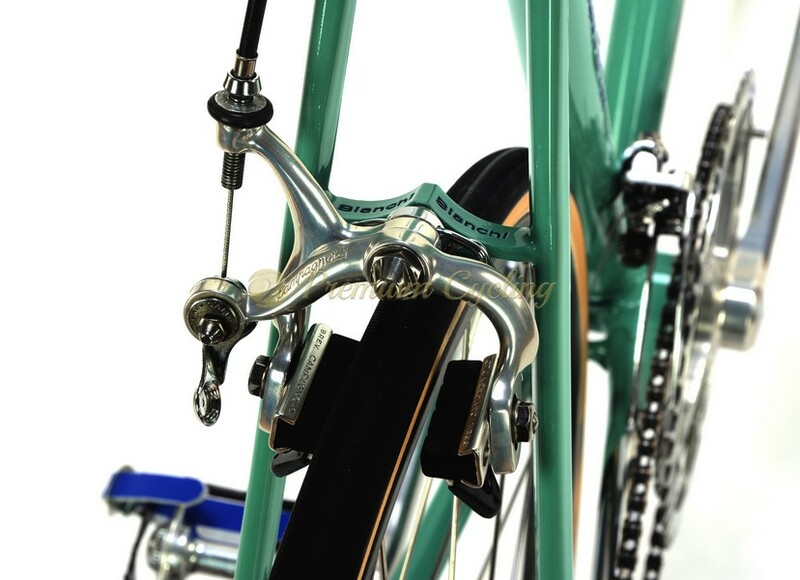 Some of the Campagnolo Super Record parts were mounted straighht from new old stock Campagnolo boxes (hubs, brakes, pedals) and others are in mint condition. Condition: The frame was completely restored, rechromed and refubrished. No cracks, no dents and is not bend. Campagnolo Super Record groupset in mint / new old stock condition.